A fun and interactive way of experiencing chess. Chess is a game that has been around for centuries, and remains widely popular even in today's digital age. Whereas games today are utilizing increasingly sophisticated technology in order to provide players, both experienced and inexperienced, with a more modern look and feel to them, the chessboard has remained largely the same throughout its history. As a result, we decided to combine the traditional game of chess with a modernized interface in order to increase its appeal to a new, modern generation. The Chess++ board has the functionality of a traditional chess board, and can be used to play a traditional game of chess. 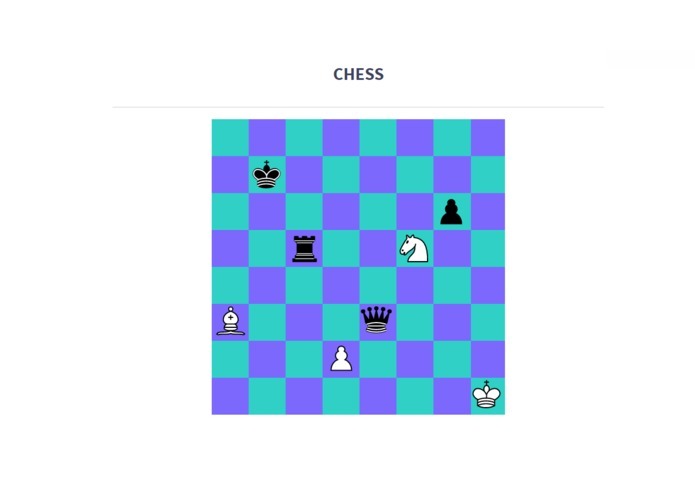 However, the Chess++ board is also connected to a website which displays the current positions of the pieces on the board. Not only does the Chess++ board send information to the website, but it also takes in information from the website and displays it on the board. 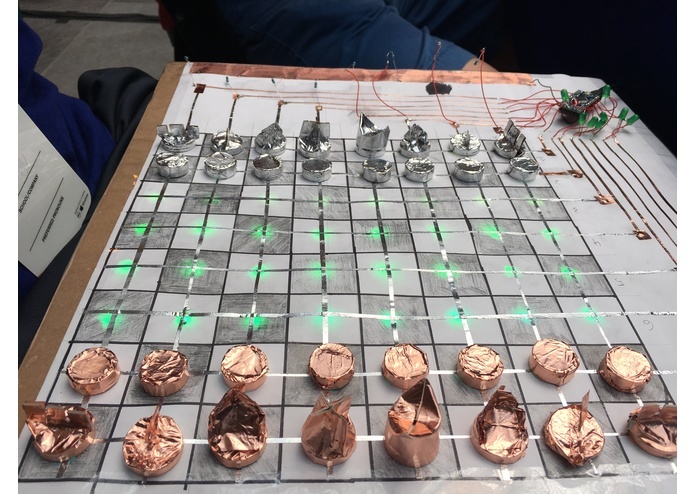 The Chess++ board includes LED lights below each square, and these lights can be used to display to inexperienced users the possible actions that a certain piece could perform. Once a player picks up a piece from the Chess++ board, it registers that a user has picked the piece up and displays the possible actions the piece can take. This functionality is aimed to assist new users in quickly grasping the rules of chess and to allow them to enjoy the game faster. 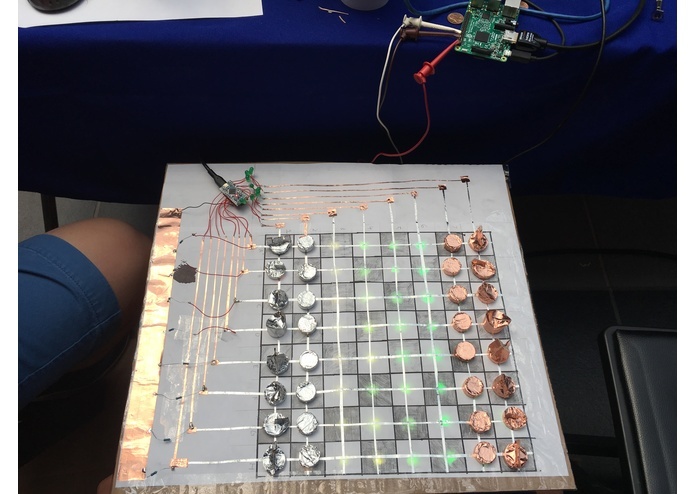 The Chess++ board utilizes cloud technology in conjunction with the Raspberry Pi and the Arduino Uno in order to accomplish its functions. 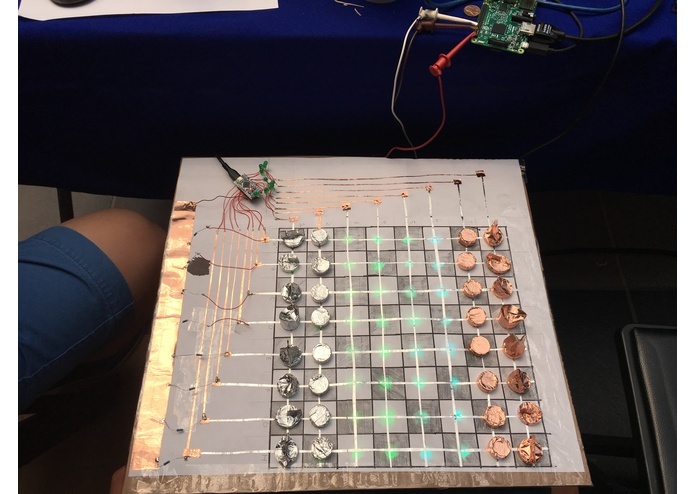 The board itself is built with conductive tape, which completes a circuit when a piece is placed on the grid The grid is connected to the Arduino, which is the conduit between the website and the board itself. In addition, the Raspberry Pi is used to turn on the proper LEDs, which are situated underneath the board. The main challenge was the lack of hardware to completely finish our design. We had to cut back on certain features that were planned, such as real-time analysis of the gameplay on the website. In addition, another challenge was figuring out the algorithm for possible moves. 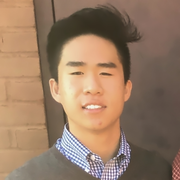 We are very proud of the fact that we were able to develop a working prototype, and prove that this design and functionality is viable and can be further polished in the future for others to develop as well. We learned that communication is very important, as we had difficulty in communicating between team members and figuring out what tasks needed to be done. We hope to be able to implement an analysis of gameplay at the end of a game, in order to teach new players where they might have been able to make a better move. In addition, we hope to streamline the design, and make it more visually appealing. Finally, we also hope to make a realtime move analysis in addition to the analysis at the end of a game. Worked on Python script that manipulated the LEDs based on the user's actions.